Mahanati’s collections are expected to grow over the weekend since the film has been receiving positive feedback from all around and rave reviews. Mahanati is currently the trending point on social media platforms ever since the film has hit the screens. A biopic on yesteryear iconic actress Savitri, Mahanati stars Keerthy Suresh in the titular role while Dulquer Salmaan plays Gemini Ganesan in the film. Mahanati is directed by Nag Ashwin who had previously made Yevade Subramanyam. While the film was released on May 9th in India, US had premiere shows on May 8th from late in the evening. And according to latest reports, the collections on day 1 from the US premiere shows and first day are big for Mahanati. According to various reports, Mahanati collected approximately $303,456 from the premiere shows and first day shows beating previous week’s release Allu Arjun’s Naa Peru Surya which stood at approximately $202,189. 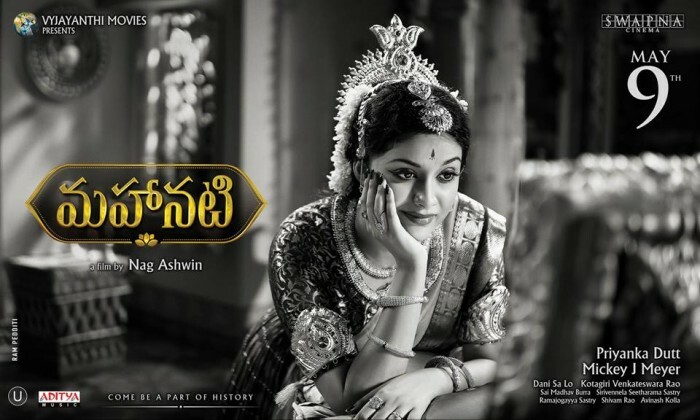 Mahanati’s collections are expected to grow over the weekend since the film has been receiving positive feedback from all around and rave reviews.